The U.S government has created FHA mortgage programs with specific limits set regionally, so FHA rates and loan options may vary by county and state. For example if you reside in a high cost district in New York you will be able to borrow between $600,000 and $700,000 if you meet the FHA loan requirements. The government reached out again in 2012 with additional aid and expanded guidelines for FHA loans so comparing finance options could save you money and ensure protection against inflation with future rate hikes. Consider that in Michigan or Ohio, in most cases you would be limited to a FHA loan between $200,000 and $300,000. See HUD’s 2011 FHA loan limits to get accurate information by county and state that pertains to FHA loan guidelines, eligibility. No Obligation! Apply Now! FHA Loan Rates Drop to Record Lows! The state links listing below reflect the 2012 FHA Loan Requirements - single family - residential mortgage limits. Congress announced a new bill that extended 2012 FHA Loan Limits for the time being. 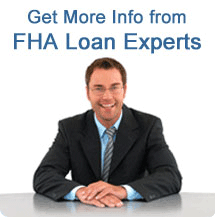 What are the FHA Loan Limits in My State?